Got Kids? Want to Bike? Want to ride with the kids safely? The worlds first carrierbike where the bike also can be used as a normal bike. The city of Davis (CA) is ready to set the world record - again. Saturday at 3 p.m., UC Davis Aggie Pack, in conjunction with the city, will host the "World's Largest Bicycle Parade!" in an attempt to reclaim its previous hold on the Guinness World Record. The event will take off from Aggie Stadium and is free to the public. The Dixon builds on the simple and functional Otis platform, with the addition of 6 more gears and a rear disc brake. Just like the Otis, the shifting is intuitive and easy with the elegant twist-shifter. If you have steep hills to climb, the additional gears will make it easy. We jumped at the chance to be the first kids on the block to get the all-new SRAM I-Motion 9. The first 9-speed internal gear hub on the market, it shifts precisely over a wide gear range, under load or standing. The benefits of internal hubs are mostly hidden, which masks the beauty, simplicity and zero-maintenance of not having two derailleurs; and multiple chainrings, cogs and shift-levers. The Swobo purpose-designed alloy frame and fork are light and tough and are designed to withstand urban abuse. Threaded eyelets on the forged dropouts and on the square-section chainstay and seatstay bridges accept racks and fenders. We designed the frames for a discrete fit of the rear disc, to accommodate rack and fender stays. Front and rear Avid mechanical disc brakes, custom Swobo saddle, grips, seat collars, and machined alloy handlebar end caps; seat post with integrated tail light and puncture-resistant street tires complete the spec. Rear rack and Planet Bike fenders are options available with the bike, and are shown here. We let you decide. We make 5 sizes to fit most people. The Arnold Sports Festival 2008 will present a new Olympic sport in 2008, The Arnold Cycling Challenge, a short distance criterium road race Sunday morning March 2 in downtown Columbus. Jim Lorimer, Producer of the Arnold Sports Festival commented, "The Arnold Sports Festival grows annually and this event will present an exciting new element of athletic acumen to the Weekend." "The Arnold Cycling Challenge will be a test of speed and endurance on a criterium course," said Craig Thompson, CEO of Fat Rabbit Racing. "We will welcome the top male and female cyclists from across the country to participate in this high caliber event." 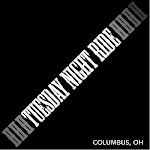 Thompson added, "The Arnold Cycling Challenge will kick off the 2008 cycling season for Ohio and indeed the Midwest. Our cyclists will have to begin their training earlier in the winter months and the element of the weather will add some unique but fun challenges." The Arnold Cycling Challenge will showcase Category 1, 2 & 3 riders will be attracted by the prize money with a total purse of $10,000. The categories are based on experience and placements in previous races. The event will be sanctioned by USA Cycling. Ohio. Sighted tandem teams and single bikes are also welcome. some other folks who enjoy tandem cycling. Volunteer for transportation, registration and/or food stops. Pledge on a rider or sponsor a tandem team. Donate give-aways to promote your business. Join the PB&J lunch preparation crew the night before. emotional support, scholarships, and more. ACB-Ohio conducts for visually impaired Ohioans and their families. Snacks! Lunch! New friends! Great ride! Support a worthy cause! Or Call 614-221-6688 or 800-835-2226 to request registration forms. Ed. Note - I road this last year and it was a great ride. Some hills but we rode a decent pace. So, please cast your votes (again). Canadian Entrepreneur, Peter Sandler, President of Therapy Products and Inventor of the E-V Sunny Bicycle developed the first all Solar electric bicycle driven completely from power derived from the Sun’s Rays. The E-V Sunny Bicycle has light absorbing Solar panels built right into the Wheels, creating continual power from the Sun’s Rays, and maintaining a constant charge to the batteries. The bike is propelled by a 500 watt front hub motor. The variable speed electronic controller drives the bike to speeds of up to 30 kilometers per hour. Overall weight of the bicycle is 75 lbs. and comes with 17 amp hr. batteries and a built in battery charger. Cost of the E-V Sunny Bicycle is $1295.00 and comes with a 90-day warrantee. The cost of the kit starts at $795.00, and the Company provides after sales servicing. Orders are now being taken for delivery in September of 2006; contact the Company through their email at info@therapyproducts.com , Toll Free at # 1 800-567-9926 or their web site www.therapyproducts.com. Civia designed the Hyland from the ground up, combining leading-edge technology and aesthetics into a bike of uncompromising performance and beauty. Simple yet elegant features like post disc mount brakes, sliding dropouts in the rear triangle, and a specially developed cable shaft make the bike as pleasing to ride as it is to see. From frame to fork we chose the best materials to fit the function. Hyland’s lightweight aluminum frame is stiff, fast, durable and corrosion resistant. And when the time comes—many miles down the road—it is also fully recyclable. Sturdy and light, the carbon fork absorbs road shock and helps smooth your ride. Stainless steel headtube badge and hardware please the eye while resisting rust and corrosion, assuring years of worry-free performance. The Hyland’s innovative hydroformed down tube features the cable tunnel; a recess for hydraulic brakes and cable housing that also provides extra frame stiffness. It makes cleaning easy, too. Simply undo the cable guides, slide the cables aside and wipe down the entire frame. We took the sliding dropout concept to new heights by including a post disc brake mount. This lets you add a rear rack without any brake caliper interference. It also cleans up the drivetrain, eliminating the need for a derailleur-style cable-tensioning device. This was submitted by Duncan... I did not make the ride. 4 guys met at wex -- jeremy, ben, duncan, and jim (who just stopped by to say hello) -- spinning off @10:30? -- just as the sleet was starting up -- over to summit, and down to carabar, where webmaster-ray was known to be nursing his tummy... uh, locking incidents ensued and eventually resolved?... ben peels off for home, so j.&d. continue thru downtown for high-beck pizza... trip dist. approx 5.6 miles (wimps!)... half-dozen other nice bikes found tethered to front gates -- vegan foosballers found inside... mucho action also around the pingpong-table, w/strangers happily challenging strangers... a "good time" had by all. Conversation topics ranged from bikes, to romance, to sorrinesses, to next week's 50F. forecast... and then a very sloppy ride home. thanks to high-beck tavern for their continued hospitality! ed. note. - the weather may not be as kind to us as early forecast indicated. The temps may drop into 20's and snow is now forecasted. Will this be the end of the bicycle chain as we know it?